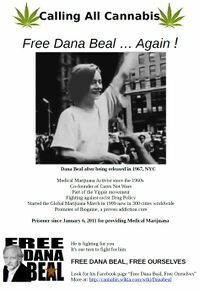 Dana Beal is free! See Portal:Dana Beal. 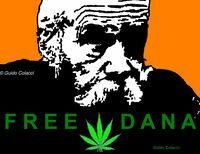 Dana Beal is the founder of the Global Marijuana March. Click images below to enlarge. Click again to enlarge further. Youtube: Dana Beal from Prison at the NYC Cannabis Rally. Video of the crowd at the New York City Cannabis Parade on May 4, 2013 while Dana Beal spoke to them from prison. This page was last edited on 30 May 2014, at 01:08.